Everybody can write a song, right? Well mainly, yes, with some musical background, a song can be written. When you're pushing for a certain level though, it can really help to have some tools to analyze both your composition and performance to hone the piece, the style, and the arrangement. I have written or produced dozens of songs, many of which have been featured in major motion pictures or released in their own right putting me in a perfect position to help you with your work and share all my secrets!! British born and Educated at London's prestigious Trinity College of Music and The Royal Academy of Music, my professional musical career has spanned over two decades to date. I have performed with world renowned acts such as Sia, Dave Stewart and Horace Andy, and have been a featured recording artist on many of the worlds most famous film scores while myself having authored or co-authored over 30 movie scores. A Suzuki violin student since the age of 3, I added piano, guitar, singing and composition during my teenage years. The Suzuki method encourages advanced aural development from very early on and this has turned out to be my strongest suit. With my ear, I have impressed some of the most notable orchestrators, composers, directors and producers in London, Hollywood and the world over. In fact, it was these on the spot aural magic tricks that allowed me to impress the Hollywood composer that first invited me to Los Angeles to work on my first blockbuster. That opportunity led to many years of success in the industry and some notoriety. I have always had a passion for teaching, sharing my knowledge with others and watching other people take immense pleasure in their own achievements. I have been told time and time again that I have a very special gift for teaching and I would very much like to share it with you, whether you want to learn an instrument, musicianship, ear training, composition, hone your vocal or mic skills or learn how to arrange an orchestral piece in just a few hours! I look forward to talking to you about your specific needs and goals and having the opportunity to help you realize them in a fun friendly and authentic atmosphere. Multitracking technique, playing mic'ing and recording. Composed, produced, recorded and mixed by me. Playing out is what it's all about! Andrew was great at getting started back in piano and working on new pieces right away. He's got a great style and has me playing right away. He is the one, do not search for any other teacher! Andrew is beyond impressive. As a musician and as a person. I look forward to a long musical relationship. Andrew is a very knowledgeable musician with an almost encyclopedic array of songs and examples. He is always willing to listen to something you've wrote and explain to you what mechanics you may or may not be employing. He is also patient and fun in his teaching. Andrew is a highly knowledgeable and experienced teacher. He has a way with describing what's happening with your voice (instrument!) with diagrams and analogies. He's also got an awesome studio where he gives lessons. Relaxed and poised, Andrew will definitely help you understand and use your voice better. Andrew is an expert singer, composer, multi-instrumentalist and a great teacher. 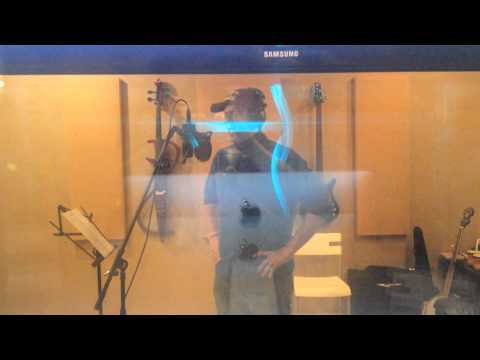 Over the course of a few months, he's worked with me to hone my technique and to bring out the best in my voice. Learning isn't always easy ... especially if you aren't born with a lot of natural talent. But Andrew is a patient teacher, and his expertise allows him to keep you focused on the fundamentals while trying new approaches to find out what works for you. Andrew really creates a very comfortable environment for the singer. I've never seriously sang in front of anyone before, so I had a bunch of apprehension about the whole experience. However, Andrew's confidence in me made me believe in myself. It's an honor being taught by Andrew, an experienced and professional teacher. Andrew is fun to work with and pushes me nicely to improve on my playing and theory. Andrew is a great teacher. I have been learning with him for a few month, and i am seeing some pretty good progress of my violin. I am a total beginner with violin, and found Andrew on Reverb. I have studied music on and off for 40+ years. Andrew is the best music teacher I have ever had for any instrument (have studied voice, piano, guitar, mandolin). He is helping to make learning violin, normally considered a difficult instrument to master, as easy as possible. He is very clear and organized in his approach to teaching. I feel very fortunate to be able to study with him. first lesson was awesome, I came to Andrew needing help for a graded prepared singing assigned from school and I scored 100 percent thanks to his help and advice! I difinitly recommend Andrew if you need lessons!! I cannot praise Andrew enough. He is wonderfully sincere and I was immediately welcomed. As an introvert I know how hard it can be to sing in front of a stranger, but that was never the case with Andrew. I had never taken a single voice lesson, let alone sang at all, really. All that I knew was that I wanted to learn. In a short time, he was able to take my untrained, shy voice and turn it into a musical instrument that I enjoy immensely. I have a new found appreciation for singing thanks to Andrew and I would not hesitate to recommend him to anyone who is looking to either start anew, supplement, or expand on their musical skill set. Great initial lesson! We're excited about the prospects for improvement!